President Obama delivering the 2013 State of the Union address to Congress. 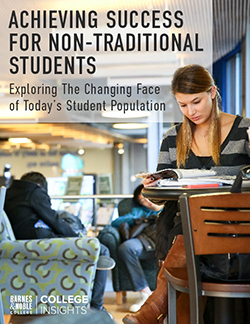 The scorecard, which the president proposed last year, is an online tool designed to simplify students’ comparison of colleges, by providing basic information about colleges and universities, including their costs, completion rates, and average student-loan debt. The State of the Union speech came just weeks before cuts in discretionary spending are scheduled to take effect through a process known as “sequestration.” Unless Congress acts before the March 1 deadline, spending on defense and non-defense programs will be cut by 5 percent across the board. The president’s 2013 State of the Union speech focused less on higher education than 2012’s, in which he asked Congress to expand job-training programs at community colleges, extend the tuition tax credit, and double Federal Work-Study jobs. In his 2012 speech, Obama praised institutions that had taken steps to control rising tuition costs by redesigning courses and making better use of technology. 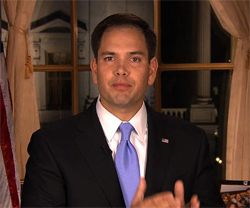 Marco Rubio gives the GOP response to President Obama’s State of the Union address. 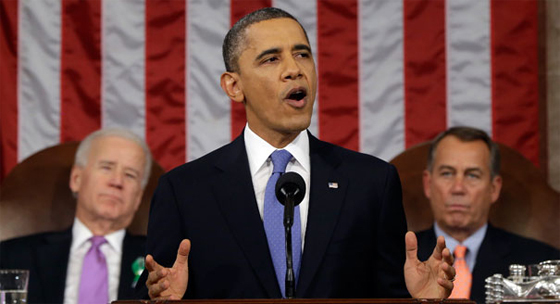 Click here to read a full transcript of the president’s 2013 State of the Union address.